CHIVHU - Liebenberg High School in Chivhu had a double tragedy this week when a Form 4 pupil was found hanging at home while another one died of an undisclosed illness at Harare Hospital. Allen Chipisa (17) was found hanging at his parents’ home in Chivhu Location on Friday. 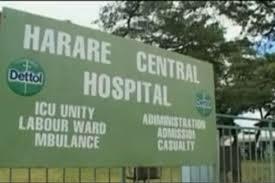 Tawananyasha Mudefi died at Harare Hospital on Sunday. Liebenberg High School head Rodgers Ngara said the school was deeply saddened by the sudden passing on of the two pupils. “It is so disheartening that the pupils have passed on at such a tender age. Chipisa committed suicide, when he could have sought counsel on whatever was troubling him,” said Ngara. Sources told The Mirror that Chipisa was absconding lessons since the opening of this term. He was unusually quiet and isolated himself from other pupils and there was ample evidence that all was not well with him, said a source. “Sometime last year I tried to probe him into disclosing what was troubling him but he refused to say anything,” said a teacher who preferred anonymity. Ngara encouraged pupils to share their problems with their peers or approach their class teachers for advice on issues they are distressed with.